← Can You Fake Beauty – just with Body Language? Imagine having a great-great-great-grandmother who fought for “votes for women” alongside Susan B Anthony and Elizabeth Cady Stanton. 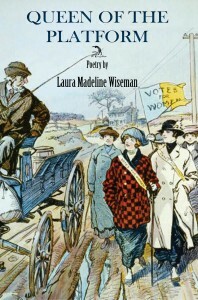 Poet, Laura Madeline Wiseman’s great-great-great-grandmother, Matilda Fletcher Wiseman did just that. Collected letters and newspaper clippings inspired a book of poetry that Ms. Wiseman calls, Queen of the Platform. What prompted Matilda Fletcher Wiseman to join the lecture circuit? Luck, opportunity, the death of her only child, and a need for income. Talent and hope for the future, too. By black dress, buttons descended from clavicle to navel. To her blush as she said, Go where we may in the land. Her biblical cadence held us suspended in a trance. She ended, Thank you for making me your standard bearer. Men leapt atop chairs. Women waived their handkerchiefs. The twist of bun, the red shawl, the black dress. To have dinner with me, Aunt Susan. Meringue pies, tarts, and chocolate “mouse”? What type of “mouse” do you suppose? She laughed, calling the waiter over to ask. Her scarlet shawl slipped from her shoulders. We chose cherries in creme. She is an old gal. She is the best and wittiest in the world. Though she is a sensible writer and an easy speaker, The sooner she subsides the better it will be for her reputation… she has mistaken her calling. You could do that, speak on stage. I said, You read my mind. Through it all a granddaughter yearns to draw her foremother closer. Called you bifurcated. Many wanted to marry you. 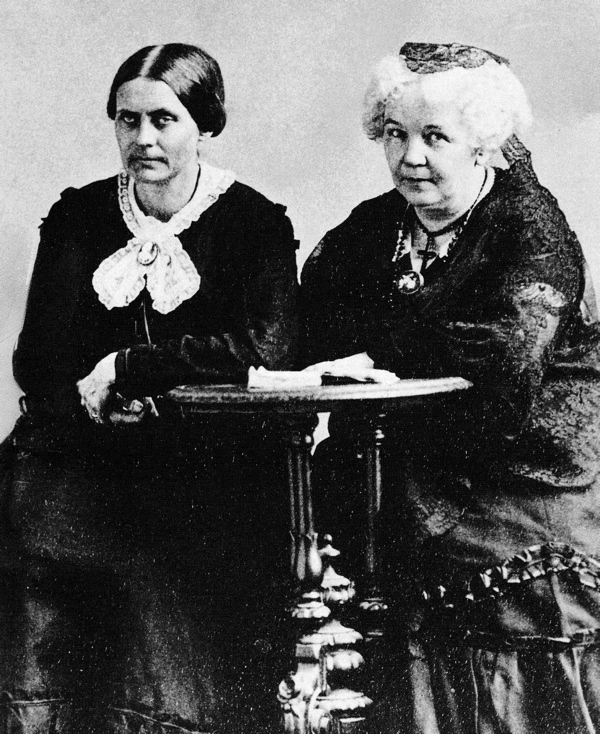 Spoke with Elizabeth Cady Stanton and Susan B Anthony. Though you’re dead 100 years, I write to you. Who’s Afraid of a Feminist? And Why? Posted on March 21, 2014, in feminism, sexism, women and tagged Elizabeth Cady Stanton, feminism, Laura Madeline Wiseman, Matilda Fletcher Wiseman, Queen of the Platform, sexism, Susan B Anthony, women, Women's History Month. Bookmark the permalink. 6 Comments. Interesting poetic perspective into the life and activities of Susan B. Anthony. Great post! Thanks for such an unusual insight into history. Thank you. Laura’s book is really interesting that way.